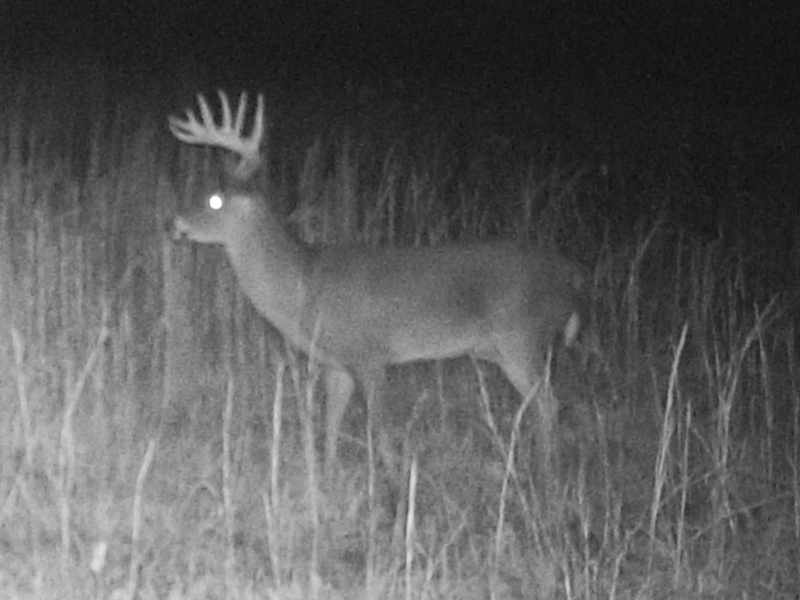 So you’ve finally decided to make steps toward shooting larger bucks on your property. The first and most obvious step is to allow bucks to reach older ages. Once you have decided on the age you want most bucks to reach, you must decide on the harvest criteria that balances protecting enough deer, without being too complex for hunters to follow. In this blog, I will be discussing some of the most commonly used buck harvest restrictions and why or why not they may be right for your situation. (Above) Bucks such as this one are a prime example of the issue with APRs: an 8 point restriction would not allow this 4.5 year old to be taken, but would allow some yearlings to be harvested. Either a spread,main-beam, or age-based restriction would have likely allowed his harvest, however. The first and most simple buck harvest restriction is one that many properties choose to use. While there are many issues with antler point restrictions (or APRs), there is one simple reason they are still in use on many clubs and Wildlife Management Areas across the country, that’s because they are easy! It is incredibly simple to count points, which leads to fewer deer being harvested that do not meet the criteria. Additionally, APRs do a fairly effective job at protecting yearling bucks in most areas. As long as most yearlings have less than 8 points, an 8 point restriction will raise the average harvest age effectively, especially if yearlings currently comprise most of the harvest. The major problem with APRs is that they are not effective at protecting bucks past 2.5 years old, as many bucks will have at least 8 points by that age. All of this depends on the region, but usually realistic APRs will fail to protect most 2.5 year olds. Additionally, APRs that are not restrictive enough may lead to high-grading, where the best young bucks get killed as yearlings. This does not have long-term genetic consequences, but can lead to smaller average antler size in mature age classes if APRs only protect relatively small-antlered bucks. Finally, APRs do not allow you to harvest some individuals even if they are mature, as there will always be some deer that do not meet the APR. This can be frustrating, as many hunters will want to scrap harvest restrictions if they are unable to shoot a smaller-antlered mature buck. APRs can work, but the number of points chosen for the APR must be enough to protect most yearlings but not so high that it restricts hunter opportunity on mature deer. (Above) Most buck harvest restrictions would allow this buck to be taken on properties aiming to harvest 3.5 year old bucks. Nearly a hundred images just like this to help learn aging skills can be found in the buck aging quiz. If you are serious about protecting young bucks but also need to have easy-to-follow restrictions, either a spread width or main beam length based restriction may be an option. 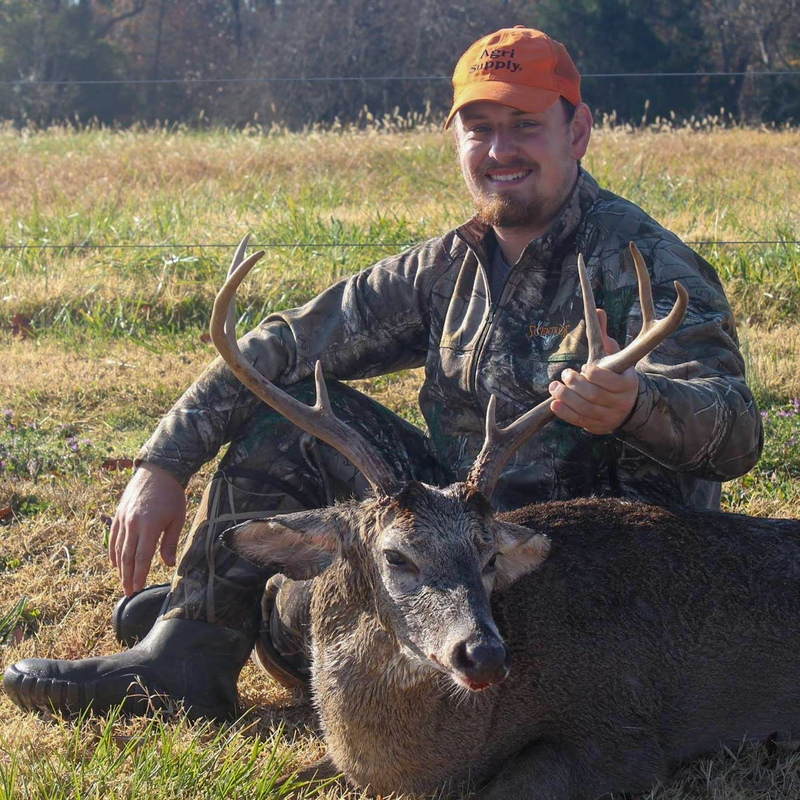 These restrictions require some study before hitting the woods, but reference points to field judge rack width or main beam length of a buck are fairly easy to learn. These other antler-based harvest restrictions are much better than APRs in most situations, as you can set goals that protect both yearling and 2.5 year old bucks. Additionally, they allow the majority of bucks that meet your age criteria to be harvested, as spread and beam length progress at a more predictable rate among age classes than antler points do. Beam length or spread restrictions are not ideal, but they work well at balancing ease of use and effectiveness. While spread or main beam restrictions are better than APRs, the best buck harvest restriction is age! Aging deer prevents all of the issues previously mentioned, as all bucks that are mature can be shot, and young bucks are off limits. Additionally, age allows you to protect deer into even older age classes if you choose to do so. The fact that aging is the best criteria seems like an obvious conclusion, but age is also the most difficult criteria to learn to judge in the field. 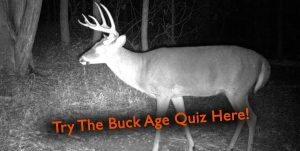 Aging deer takes a lot of practice, and one resource that can be used to learn is the buck aging quiz on our website. If you are willing to put in the time, basing harvest on age is the way to go. The exact choice among the buck harvest restrictions for your property is based on many factors. It is also important to consider how strict you want to be, as realistic harvest goals are best. Regardless of the option you choose, make sure to not get so caught up in antlers that it takes the fun out of hunting this fall! Deer Do Not Have Horns! Should We Harvest Pregnant Does?